Sitting next to the Regent's Canal in Hoxton, Colville is one of Hackney's biggest building projects. We're replacing the 432 original homes with over 900 high quality new homes - allowing all Colville's social rent tenants to move to a brand new Council home on the estate alongside much-needed additional new council homes. Why is the regeneration happening? The majority of the original homes at Colville were built in the 1950s and, over time, have deteriorated so that they are costly to repair and difficult to heat. The project is allowing us to build a brand new social rent council home for every council tenant at Colville, and provide additional new council homes in response to the local housing shortage, and build a safer neighbourhood with better connections with the wider area. How many new homes will there be? The full regeneration will see up to 935 homes being built, replacing the original 432 homes. More than half of these will be for social rent or shared ownership, with outright sale of the remaining homes to help pay for them with little government funding available for social housing. The social rent homes will be allocated directly to families already living on the Colville Estate, with the remainder going to those on the housing waiting list. The shared ownership homes will be sold by our in-house sales team, Hackney Sales, in accordance with our sales and marketing principles. These are priortised for people living and working in Hackney who are unable to afford to buy a home outright but are unlikely to be prioritised for social housing. What other benefits will the project bring? As well as new homes, the changes will bring wider benefits to the area. This includes a new combined heat and power plant to provide communal heating across the estate, community and commercial spaces including a new café, and an improved street-layout which will link the neighbourhood with surrounding areas and make the previously inward-looking estate feel safer. 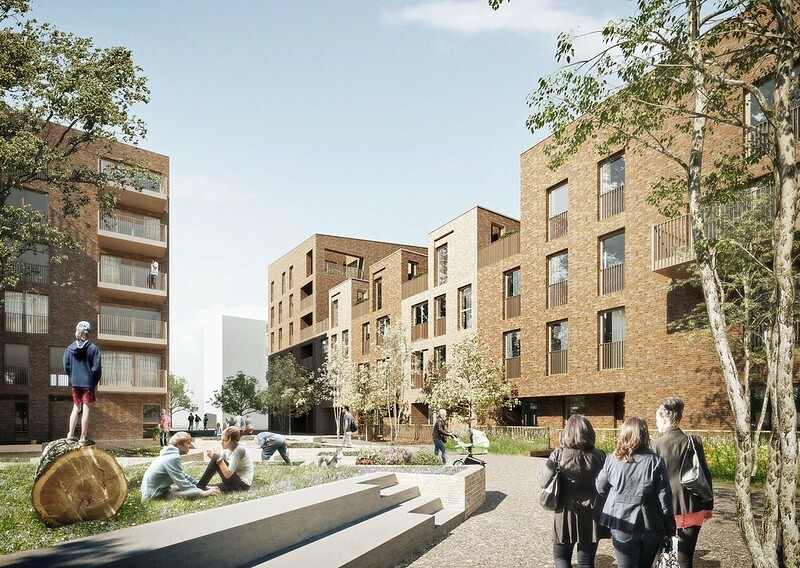 The designs for Colville have been led by Karakusevic Carson Architects, who developed the masterplan and designed phase 1, phase 2 and, alongside David Chipperfield Architects, phase 3. The construction work for phase 2 is being carried out by Higgins Construction and our private developer partner for phase 3 is Anthology Hoxton Press, who are developing and marketing homes for outright sale. This is a big project, with comprehensive redevelopment taking place over seven phases until around 2028. Work is already well underway. The first new homes - 41 social rent properties at Bridport House (phase 1) - were completed in 2011, and construction of phases 2 and 3 is currently underway.